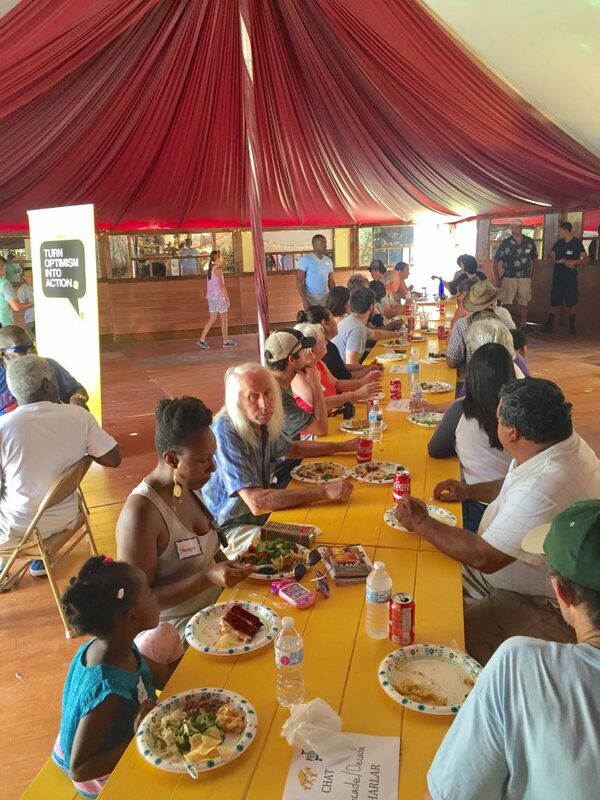 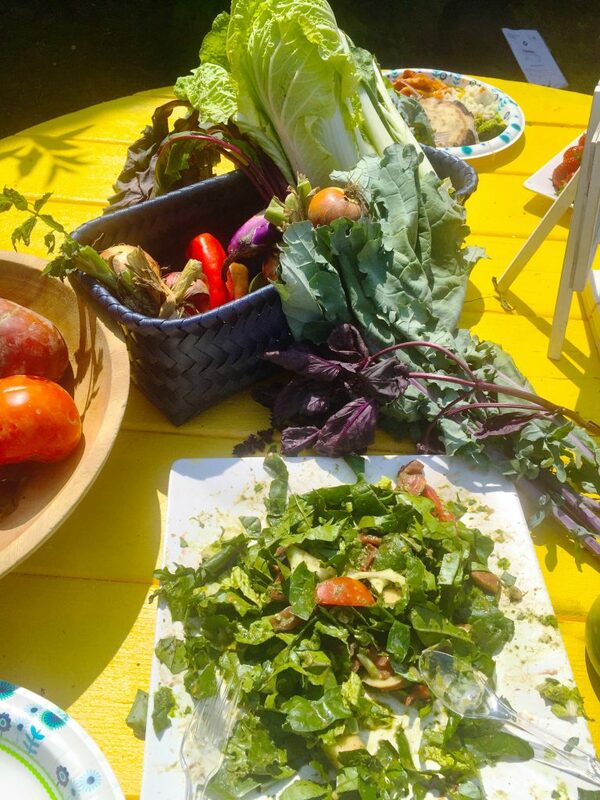 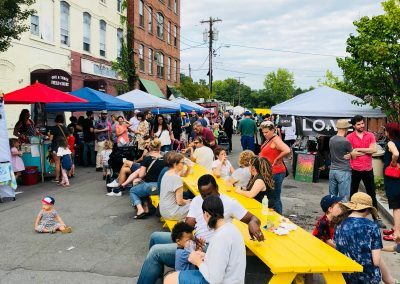 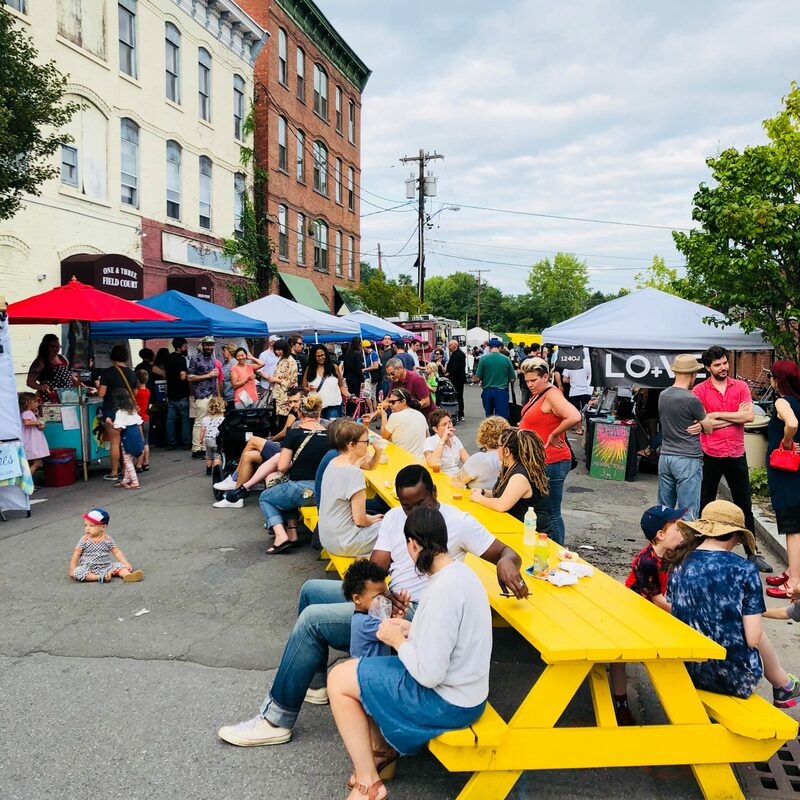 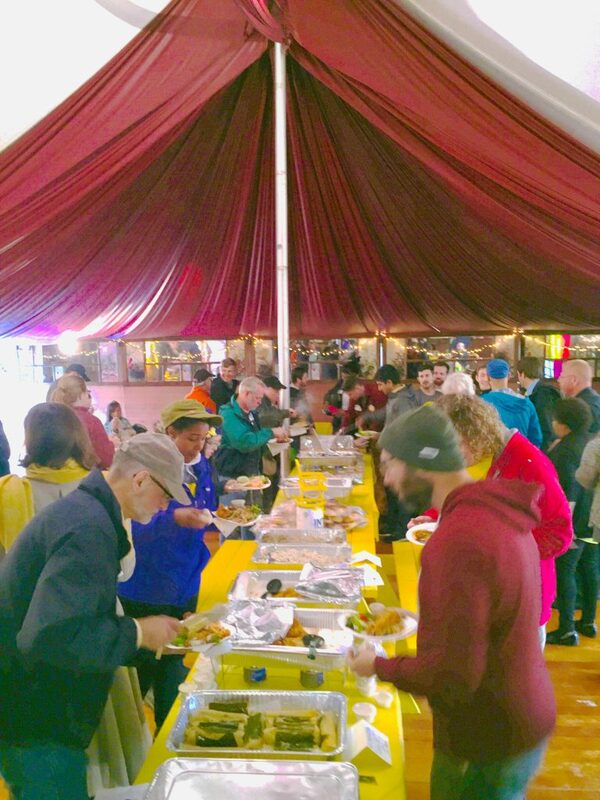 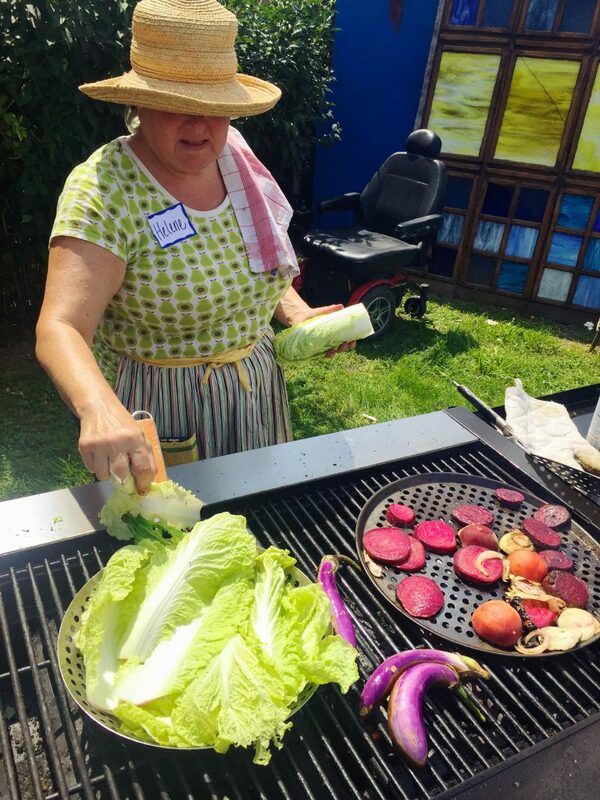 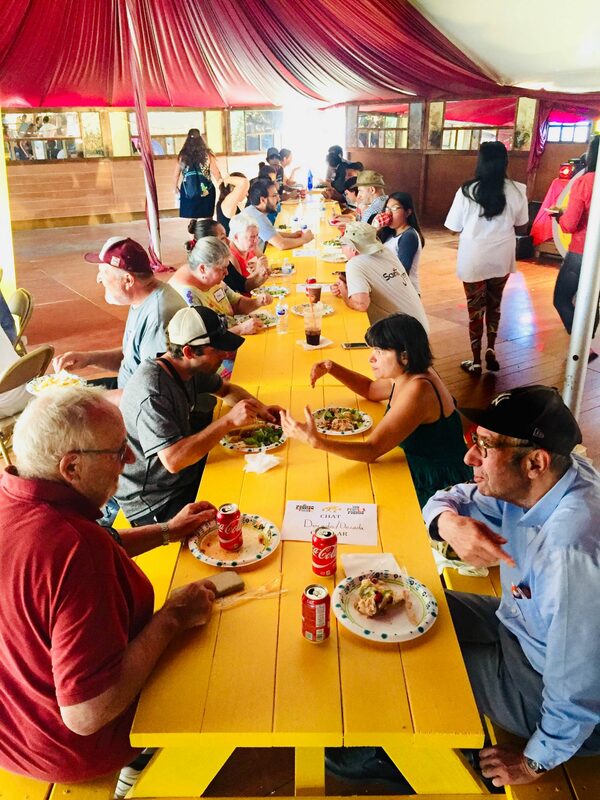 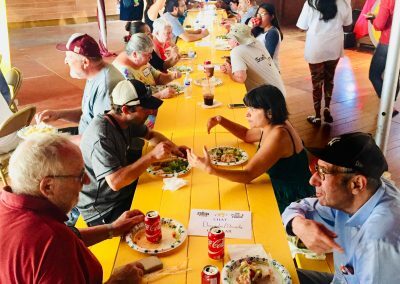 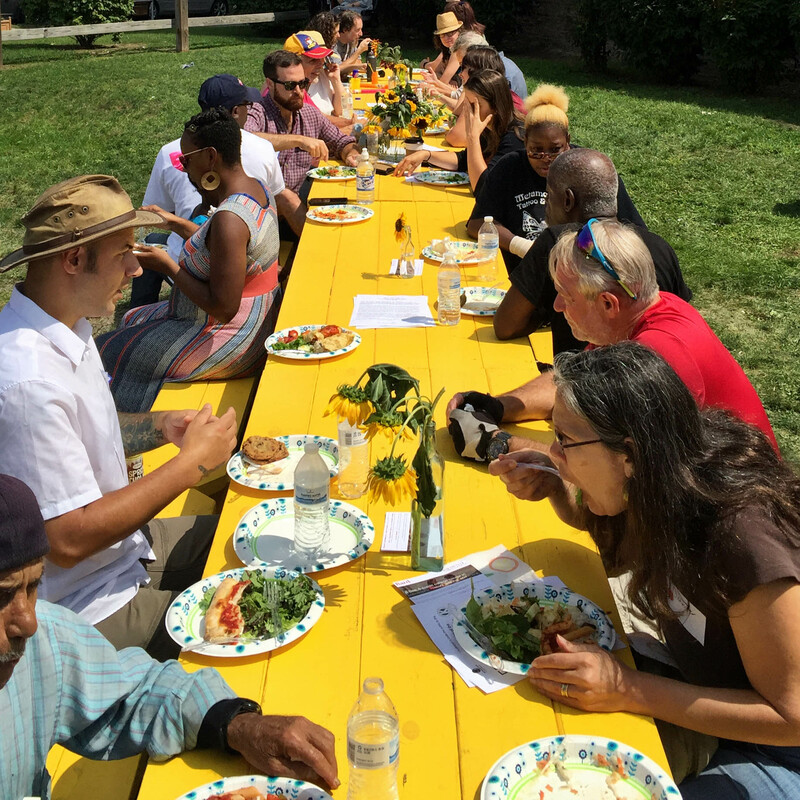 Communal gatherings with food and events to feed Optimism and neighborly connection. 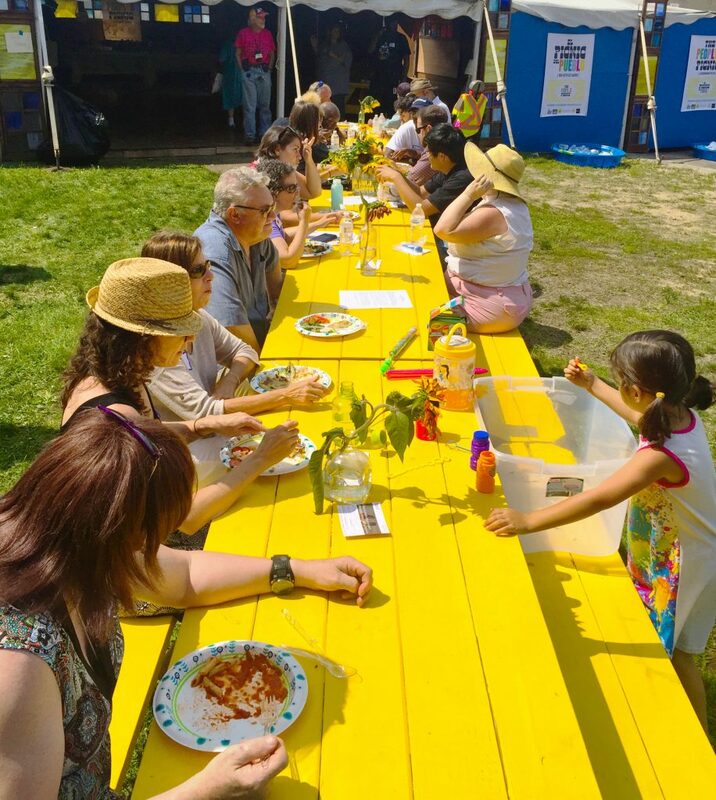 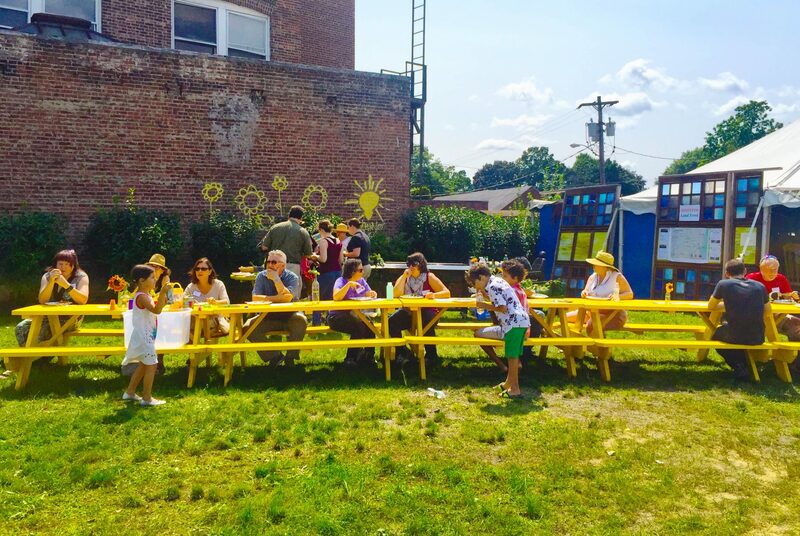 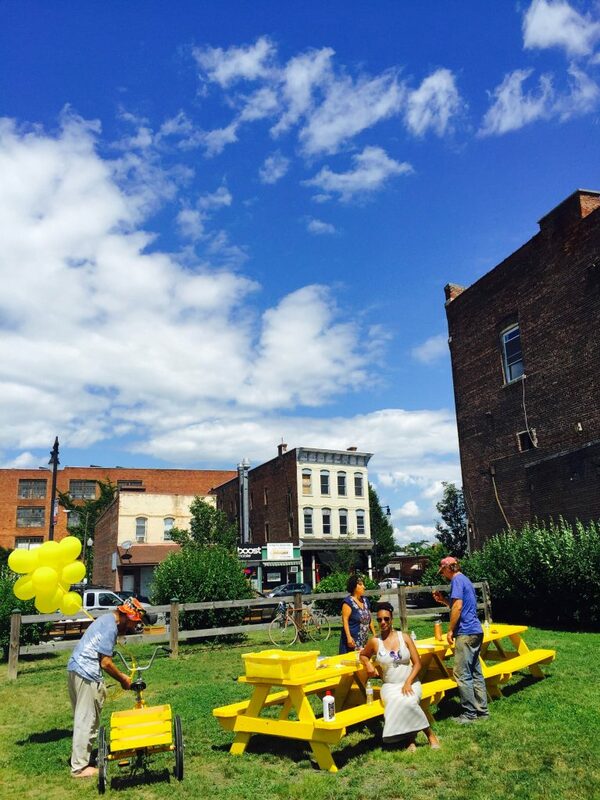 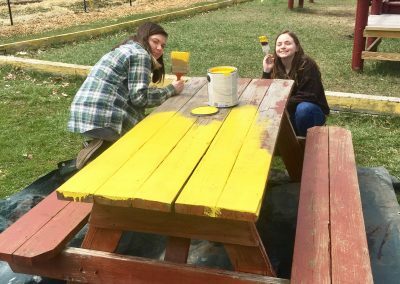 Yellow picnic tables and happenings fuel community connection and create places to convene and commune through focus on positive communication. 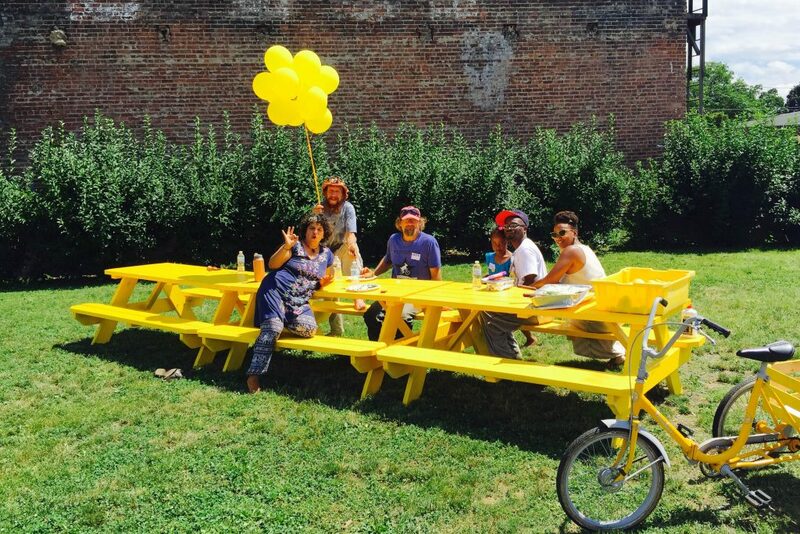 Initially conceived to brighten underserved neighborhoods with yellow picnic tables and complimentary buffet picnic, music and more, the concept has grown to include affluent communities as well. 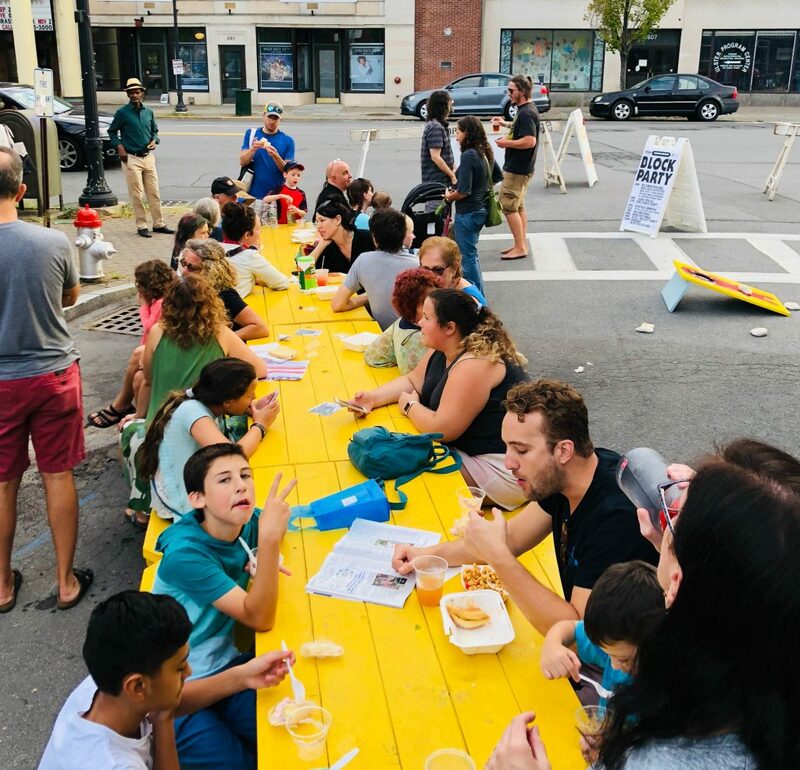 For the event, streets are blocked off for yellow community table dinner events as fundraisers for local mental health charities and services or simply to promote community connection and raise awareness of mental health. 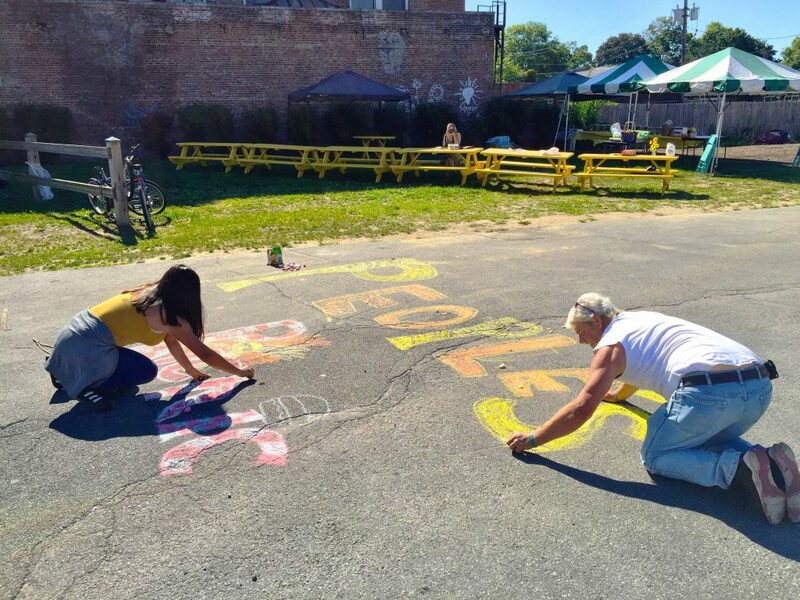 The idea grew out of a previous artistic collaboration called Peace Officers (with the City of Kingston Police Department). During this project, the Chief of Police said, “I think we can brighten the city with more places to commune with one another.” People’s Picnic is the realization of that idea which was at the core of Peace Officers, a video installation where officers offered their input for how to brighten the community. 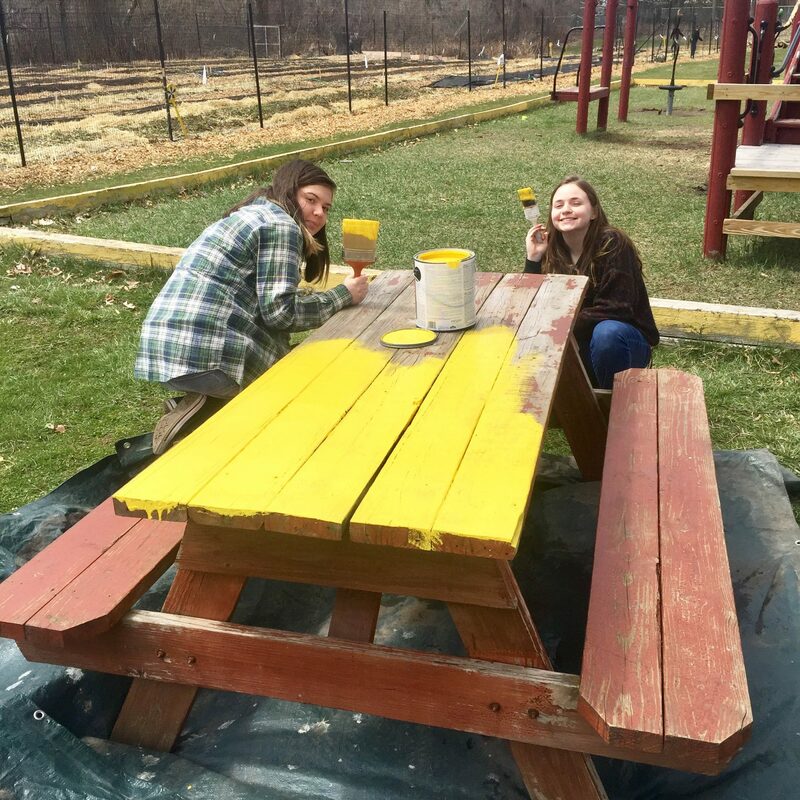 As with many INTOyellow projects, inspiration collected through one leads to the creation of another. 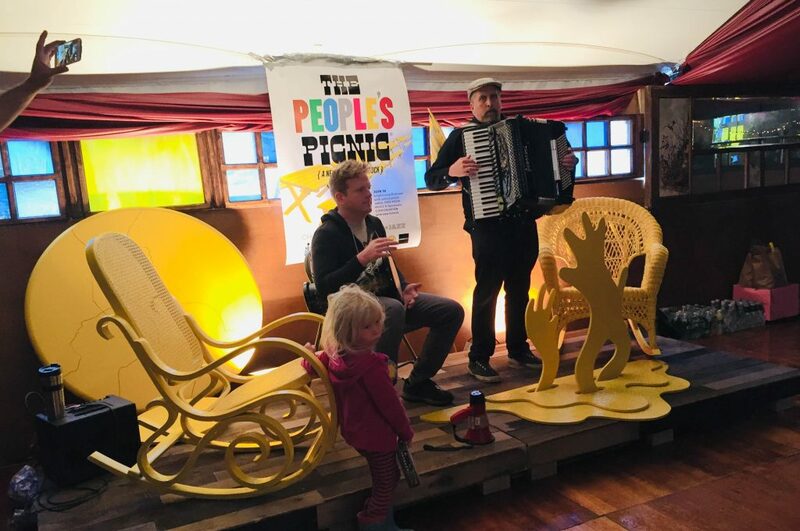 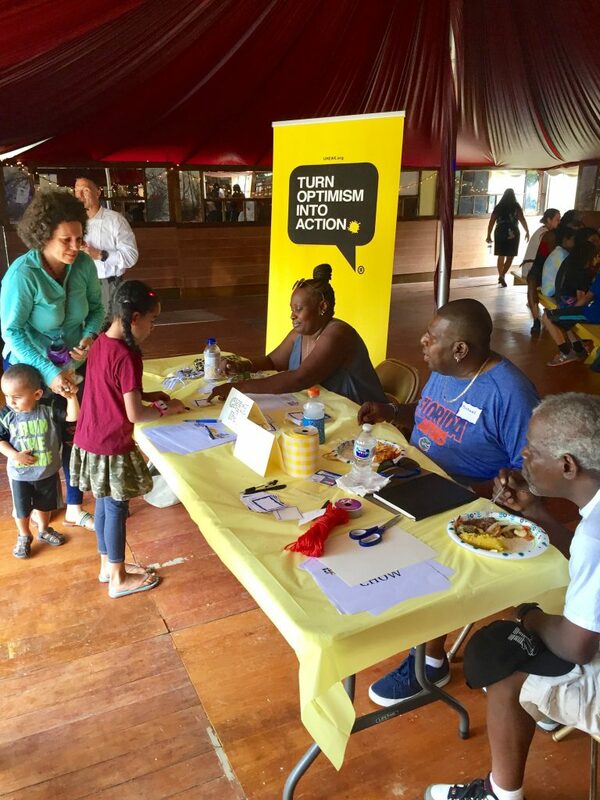 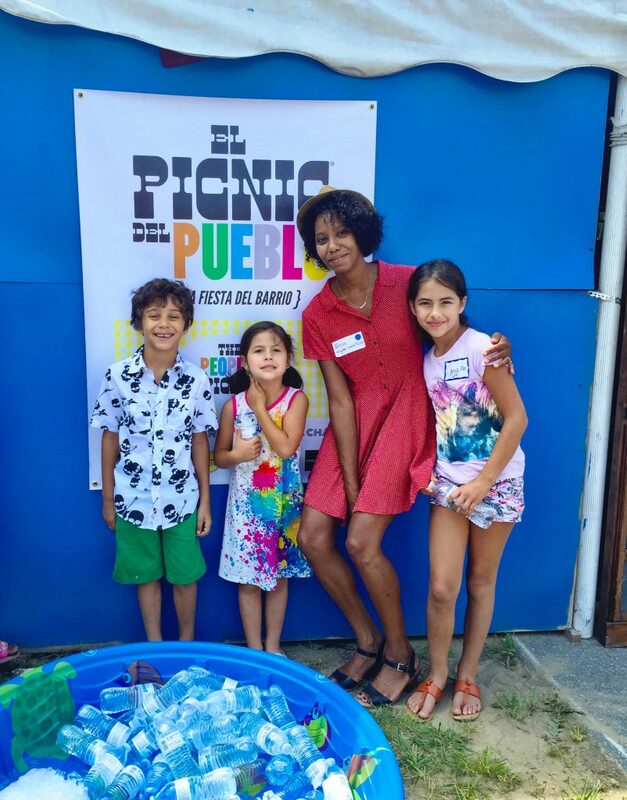 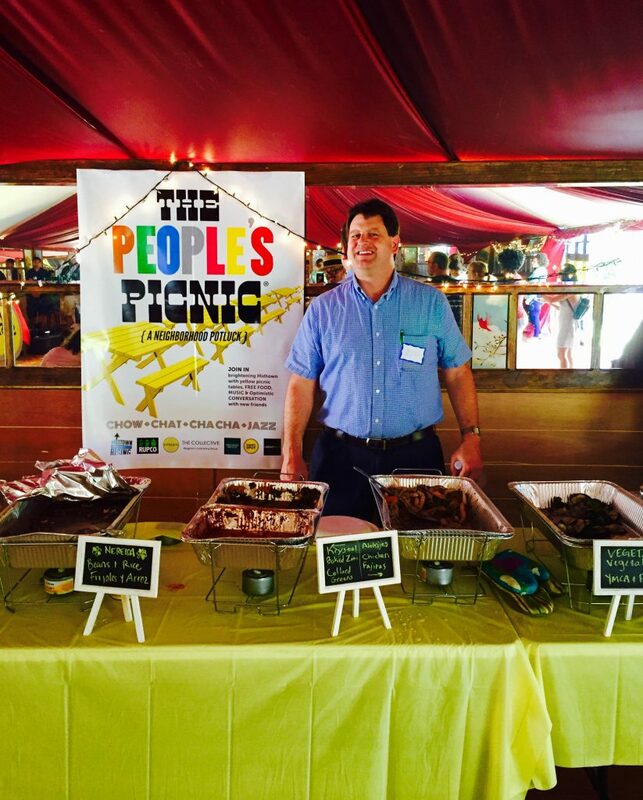 People’s Picnic is an example of how hearing people’s Optimism can fuel ever greater expressions of Optimism.